The Five Americans appear on "American Bandstand". Not much in the way of impression premiers on this week's chart … but a few will have a lasting impact. 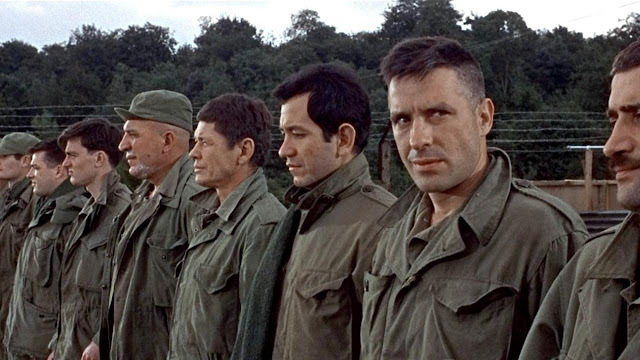 The highest debut of the week belongs to Herb Alpert and the Tijuana Brass, whose instrumental working of "The Happening" premiers at #72. The Young Rascals have a new record on the chart this week as "A Girl Like You" (my personal favorite by them) debuts at #79. Other notable tracks in the Forgotten Hits world include "Blue's Them" by Davie Allan and the Arrows (#92), "You Keep Me Hangin' On" by Vanilla Fudge (#96), "My Mammy" by The Happenings (#97) and "To Love Somebody" by The Bee Gees (#100). After being performed live on the "Our World" television special on June 25th, beamed around the world via satellite, "All You Need Is Love" is released as the new Beatles single in The UK. It will premier at #2 the following week , where it will stay for the next three weeks. Speaking of The Beatles, Drummer Ringo Starr turns 27 years old today. Here in Chicago, local acts hold six Top 40 positions, with The Buckinghams leading the pack at #8 with their latest, "Mercy, Mercy, Mercy". They are followed by The American Breed at #10, The Mauds at #15, The New Colony Six at #17, and, brand new at #20, The Cryan' Shames, followed by our friends from just north of the border, Michael and the Messengers, at #21 with their brand new remake of the old Reflections song, "(Just Like) Romeo And Juliet". 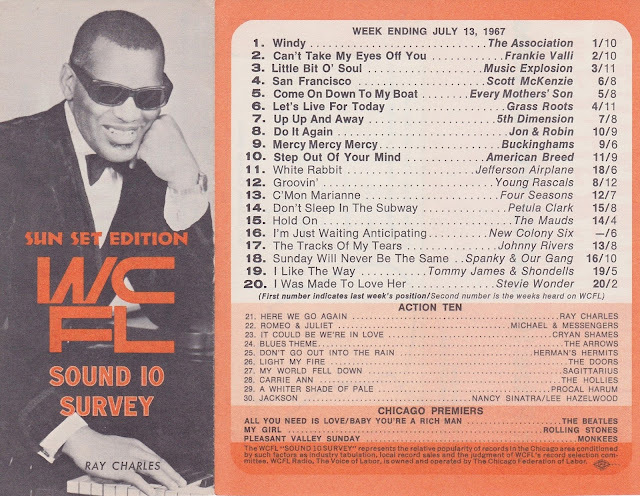 "Little Bit O'Soul" knocks "Windy" out of the top spot on the WLS chart after a five week run while hometown rival WCFL is reporting that "Windy" is still the "top dog" here in Chi-Town this week, placing The Music Explosion hit at #3. Zal Yanofsky and Steve Boone of The Lovin' Spoonful are arrested for drug use. They will later implicate several of San Francisco's biggest and best-connected drug dealers as part of their plea bargain. 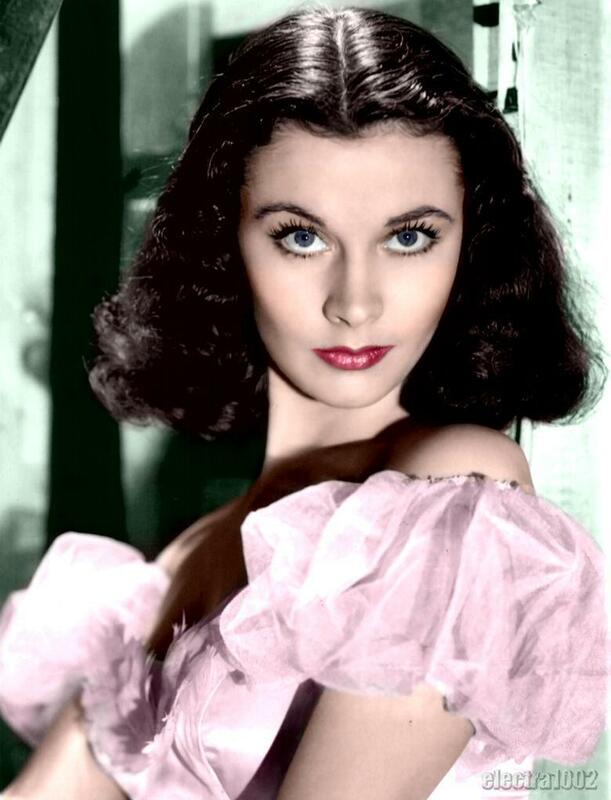 Actress Vivien Leigh (Scarlett from "Gone With The Wind") passes away at the age of 53. 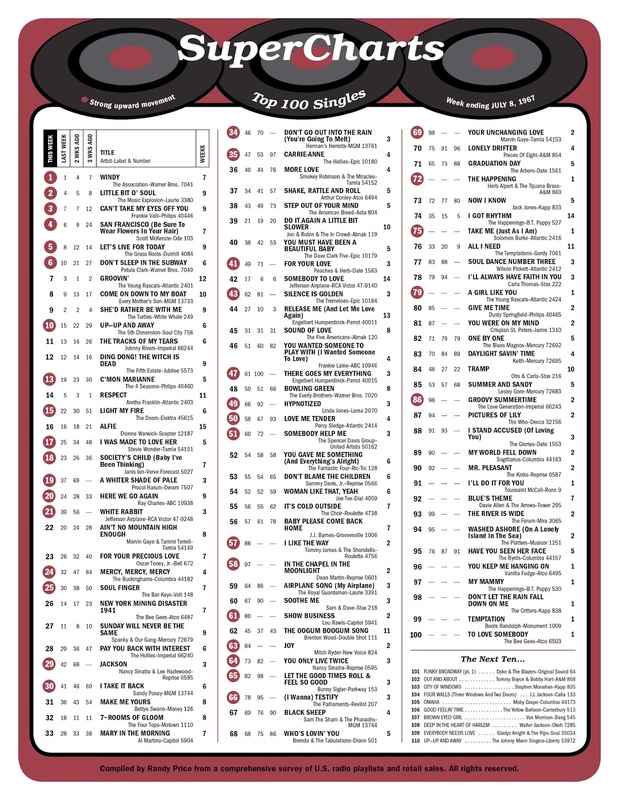 Tracks earning bullets on the lower half of the chart include "For Your Love" by Peaches and Herb (which climbs from #49 to #41), "Silence Is Golden" by The Tremeloes (#62 to #43), "There Goes My Everything" by Engelbert Humperdinck (which premiered at #100 two weeks ago, moving from #61 to #47), "Hypnotized" by Linda Jones (#66 to #49), "Love Me Tender" by Percy Sledge (#58 to #50), "Somebody Help Me" by The Spencer Davis Group (#60 to #51), "I Like The Way" by Tommy James and the Shondells (#86 to #57, a leap of nearly 30 places), "In The Chapel In The Moonlight" by Dean Martin (which jumps from #97 to #58! ), "Show Business" by Lou Rawls (#80 to #61), "Joy" by Mitch Ryder (#84 to #63), "You Only Live Twice" by Nancy Sinatra (#73 to #64), a medley of "Let The Good Times Roll" and "Feel So Good" by Bunny Sigler (#82 to #65), "I Wanna Testify" by The Parliaments (#78 to #66), "Your Unchanging Love" by Marvin Gaye (#98 to #69) and "Groovy Summertime" by The Love Generation" (#96 to #86). Here at Columbia Studios in Chicago, four moonlighting members of Motown's infamous session group, The Funk Brothers (along with The Andantes on background vocals) record the backing track for "(Your Love Keeps Lifting Me) Higher And Higher". Jackie Wilson will overdub his lead vocal in New York City a few days later … in just one take I may add … creating his last Top Ten Hit, which will hit the charts a month later. The Monkees return from their brief tour of England. 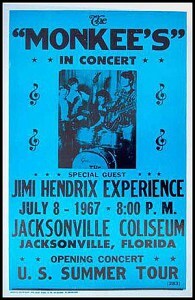 They are due to kick off the US leg of this tour tomorrow in Atlanta, Georgia, but this show will be cancelled due to the complete exhaustion of the Pre-Fab Four. Civil War erupted between Nigeria and Biafra, after Biafra seceded from Nigeria to form The Republic of Biafra several weeks earlier. Over the next two and a half years, it is believed that more than three million civilians died of fighting and starvation only to see Biafra reintegrated into Nigeria in 1970. Big movers throughout the rest of The Top 40 include "Mercy Mercy Mercy" by The Buckinghams (up from #32 to #24), "Soul Finger" by The Bar-Kays (#30 to #25), "Jackson" by Nancy Sinatra and Lee Hazlewood (#42 to #29), "I Take It Back" by Sandy Posey (#41 to #30), "Don't Go Out Into The Rain" by Herman's Hermits (#46 to #34), "Carrie Anne" by The Hollies (#47 to #35) and "Step Out Of Your Mind" by The American Breed (#43 to #38). 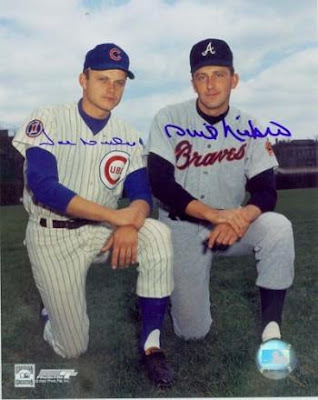 Brothers Phil and Joe Niekro face each other for the first time in a major league game in the first game of a double header in Atlanta against The Chicago Cubs. Atlanta takes both games, with Phil beating Joe 8-3 in the opener and The Cubs losing 4-2 in the nightcap. The Freedom Of Information Act became official. 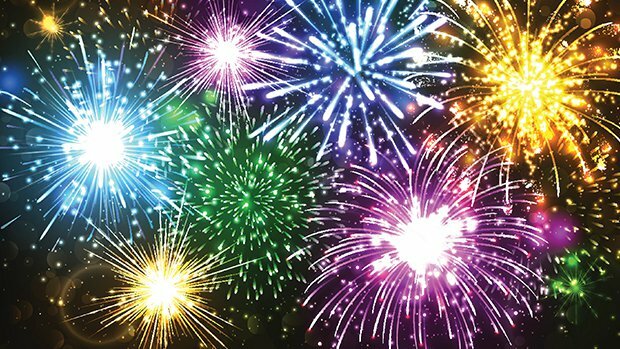 Meanwhile, across the pond, The British Parliament decriminalizes homosexuality. Tom Jones is the musical guest on the first episode of the brand new CBS Television Series "Spotlight". On the upswing in the rest of The Top Twenty we find "The Tracks Of My Tears" by Johnny Rivers (climbing from #13 to #11), "C'mon Marianne" by The Four Seasons (jumping #19 to #13), "Light My Fire" by The Doors (up from #22 to #15), "I Was Made To Love Her" by Stevie Wonder (which moves from #25 to #17), "Society's Child" by Janis Ian (up five places from #23 to #18), "A Whiter Shade Of Pale" by Procol Harum (up 18 places from #37 to #19) and "Here We Go Again" by Ray Charles (which climbs from #24 to #20). Right behind it we find "White Rabbit" by Jefferson Airplane, which ALSO climbs 18 spots from #39 to #21. The #1 album again this week is "Sgt. Pepper's Lonely Hearts Club Band" by The Beatles. Brian Epstein organized a party at The Speakeasy Club to welcome The Monkees, who were doing their first UK Tour. Present that night were John and Cynthia Lennon, George and Patti Harrison, Paul McCartney with then-girlfriend Jane Asher, as well as Eric Clapton, Mama Cass Elliott, The Who, Dusty Springfield, members of Procol Harum, Lulu, Manfred Mann and Micky's future wife, Samantha Juste. NONE of this information times out properly as "Randy Scouse Git", a track on The Monkees' latest "Headquarters" LP, had already been out for a month and had recently topped Billboard's Album Chart ... Micky not having written it yet on July 3rd is simply an impossibility ... yet we found this date reported in a number of sources ... so we just had to share it! (Micky has always maintained that the title came from the television series "Till Death Do Us Part" ... but in that this was The Monkees' first trip to England, one cannot help but wonder how he saw it in time to record his track some four months earlier!!! The Monkees recorded this track in sessions held on March 4th, March 5th and March 8th!!!) In researched hindsight, a far more likely scenario would be that the inspiration came months earlier when Micky and Mike visited the UK to do some press for their just announced tour. It so happens that Mama Cass was also there at that time, so our best guess is that this inspiration happened the night of February 8th at The Bag O'Nails club ... which would have given Micky plenty of time to write the song and record it in early March. When released as a single in Great Britain, it went all the way to #2 under the name "Alternate Title" (as the record company felt the British slang a bit too much to garner airplay ... they didn't want to risk The Monkees' audience finding anything offensive about their new release.) This single was never released here in America … but remains one of The Monkees' most popular tracks. 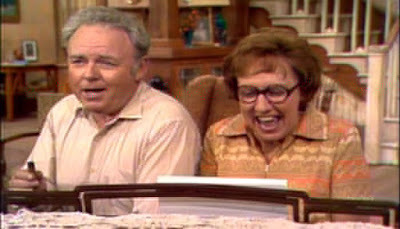 Three years later "Till Death Do Us Part" would be "Americanized" into the controversial comedy "All In The Family" by Norman Lear. Meanwhile, across the globe, The Doors and Iron Butterfly performed at The Santa Monica Civic Center in Santa Monia, California. The Monkees perform two MORE shows at Empire Pool in Wembley, North London today. (For those of you keeping score, that makes FIVE sold out shows in all.) Michael Nesmith collapses from exhaustion after the first show but recovers to do the second show later that evening. Michael and Micky both wear black armbands during this performance to show their solidarity and sympathy for Rolling Stones Mick Jagger and Keith Richards, both recently convicted of drug offenses and sentenced to jail time. The National League race is tightening up as The Chicago Cubs move into a tie for first place with The St. Louis Cardinals. Much of the 40,000+ crowd on hand at Wrigley Field wait till after the game to see the pennants rearranged on the scoreboard, moving The Cubs to the top position. It is the first time The Chicago Cubs have been in First Place since 1945!!! 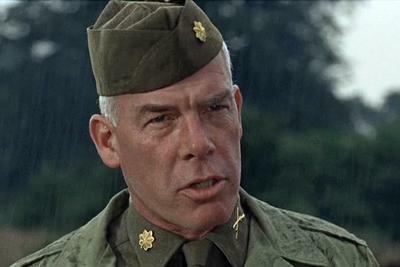 #1 at the box office again this weekend was "The Dirty Dozen".